Central California Events - festivals, fairs, fiestas, feasts, fun stuff and perhaps a ranch rodeo, carshow or airshow as well. 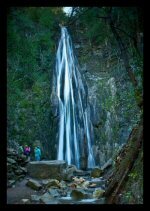 There is a great assortment of Central California Events taking place nearly every weekend somewhere here. You won't lack for fun and interesting things to do. Many of the events highlight the wide range of agricultural and natural products - wine, beer, olives and olive oil, artichokes, clams, garlic, oysters, calamari, flowers and lavender. And that means that these events are gustatory delights, pleasing the palate and making for a fun visit. If all that weren't enough, there are many cultural events as well, showcasing local artists as well as the masters such as Bach, Shakespeare, Steinbeck and Mozart. 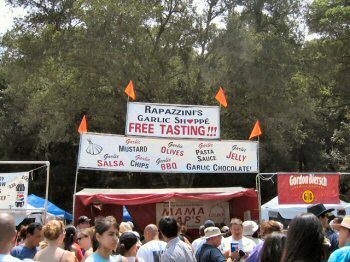 There are some interesting events, such as the Gilroy Garlic Festival. You might not think that garlic is worthy of its own festival, but it's a HUGE event every year. This year the dates are July 27-29, 2012. There are also events related to local history such as fiestas hosted by the missions celebrating their date of founding. 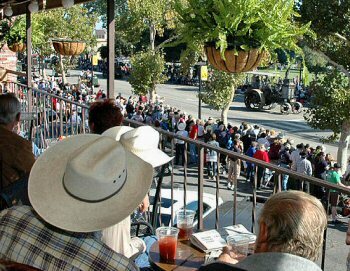 Many of the local towns also hold events celebrating their history such as the Paso Robles Pioneer Days, San Miguel Sagebrush Day and others like these.